Tennis elbow, runner’s knee—sometimes there are pains in our bodies that we just learn to live with. Other times, when the pain is too much to bear or has begun to interfere with everyday life, surgery may become an option. But what if surgery wasn’t the only option? What if there were a non-invasive treatment that brings the hope of recovery, or at least reduces the pain? Dr. Ranjan Sachdev of Sachdev Orthopaedics offers an alternative treatment for orthopedic disease and injury to the Lehigh Valley: bone marrow aspirate concentrate therapy, commonly known as stem cell therapy. This innovative process uses a patient’s own stem cells derived from their bone marrow to treat joint-related ailments without undergoing an invasive surgical procedure. “Stem cells have the power to form new tissues and bring in blood supply. They can form tendon, bone, and muscle,” says Dr. Sachdev. What if there were a non-invasive treatment that brings the hope of recovery, or at least reduces the pain? Dr. Sachdev first considered using stem cells as a treatment method when he found that one of his classmates had tried it as a treatment. “[They were] quite happy with it,” says Dr. Sachdev. After seeing his friend doing so well, he grew an interest in the practice and took it upon himself to learn more and eventually began practicing stem cell therapy himself. Dr. Sachdev has been offering the treatment to eligible patients for three years. How does this stem cell therapy work? While there are a number of areas in the body where stem cells can be obtained and two kinds of stem cells derived from bone marrow, Dr. Sachdev works exclusively with mesenchymal stem cells, or MSCs. MSCs have proven to be easily harvested and quite effective at replacing other injured or damaged cells, making them a viable solution for orthopedic conditions. After the patient is put under IV sedation, the MSCs are aspirated from the bone marrow through a needle injected in the back part of the pelvic bone. After the MSCs are retrieved, they are processed in a centrifuge that concentrates the cells into bone marrow aspirate cells (BMACs). Once the BMACs are injected into the area of disease or injury, the procedure is over. The stem cell therapy is an outpatient procedure commonly performed in a surgical center and requires IV sedation—so you aren’t completely under. After the treatment, there may be soreness for a day or two, meaning minimal recovery time, and results are typically seen around one to two months post-procedure. 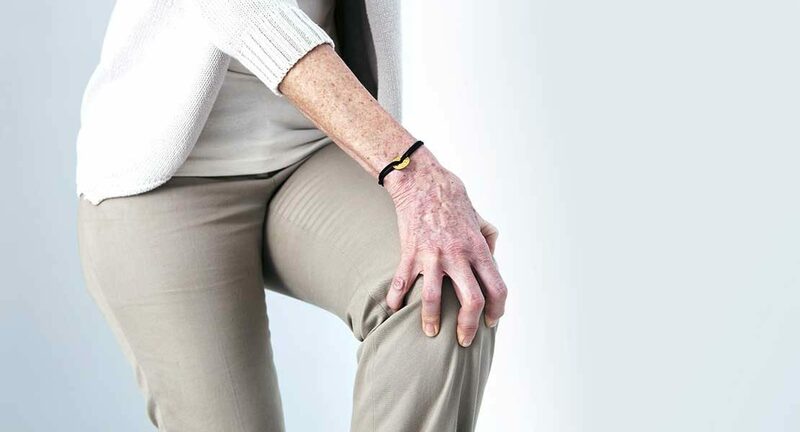 While arthritis is the most common orthopedic problem that Dr. Sachdev treats with stem cell therapy, the procedure can also help with rotator cuff tears, tendonitis of the shoulder, elbow, ankle, and knee, plus plantar fasciitis, bone cysts, and fractures that aren’t healing well. Dr. Sachdev says that the ideal candidate for stem cell therapy is “someone who wants to use their own biology for healing” and wants to avoid major surgery, or has tried other methods of healing that didn’t work. There are also cases when an injury or disease is too far gone to benefit from the therapy. “if they are so advanced, then the stem cells may not work,” says Dr. Sachdev. The best thing to do is discuss and consider your options: “I will tell [patients] if there’s a good chance of success or not,” he says. The outcome is promising—about 70% of patients say that they see improvement post-treatment. Dr. Sachdev is confident there are no medically-related risks involved in the procedure because it is solely based on a patient’s own cells; there are no foreign chemicals being injected into the body that could cause an adverse reaction. Because there are no incisions, Dr. Sachdev has also not seen any cases of infection. It’s important to note that the stem cell therapy is not for every person. Dr. Sachdev avoids treating patients who have cancer, or have undergone or are currently undergoing chemotherapy. “Chemotherapy may have affected stem cells,” says Dr. Sachdev. “There could also be cancer cells left in bone marrow,” which could make for a risky possibility of injecting contaminated concentrate elsewhere in the body. Dr. Sachdev did his orthopedic training at Creighton University, and more notably, the highly esteemed Mayo Clinic. He received his medical degree at Maulana Azad Medical College in New Delhi, India, and completed his residency at SUNY Upstate Medical Center. He has been practicing in the Lehigh Valley since 1981. Aside from stem cell therapy, Dr. Sachdev performs a number of surgical procedures like total or partial joint replacements, fracture care, hand surgery, arthroscopic surgery, and sports-related injuries. Even if you aren’t a candidate for stem cell therapy, it’s likely that Dr. Sachdev has another treatment option for you. Life is too short for coping with pain.